Just wanted to let you know, in regards to Bourbon Red turkeys. My Great Uncle has successfully hatched his first batch of their eggs just this past summer. The hen had problems with needing a lot of calcium for her shells. She laid a total of 11 eggs before brooding. 7 of the eggs hatched, but only 4 of the poults have survived. The hen stays in sight of her chicks at all times. We first moved the newly hatched chicks to a small area with a heat lamp, where we normally leave chicks until old enough for the juvenile cages. The hen was greatly upset and would not calm back down until reunited with all her poults. We lost several for unknown reasons. We have recently moved the poults, now about 4 or so months old, to a juvenile platform cage where there is no heating lamp, but there is shelter and they are protected from our juvenile chicks and pheasants. The hen stays near them at all times, and will not move where she can't see them. Hope this adds some information for your site. Common sources of extra calcium include finely crushed oyster shell, egg shell, or bone. Heritage turkeys will often go broody and can hatch and raise their own poults like this hen did. They are conscientious moms, as you can see! Poults are harder to start than chicks, though, which may be why this member lost several. Watch over them closely for the first week to make sure they are drinking and eating. 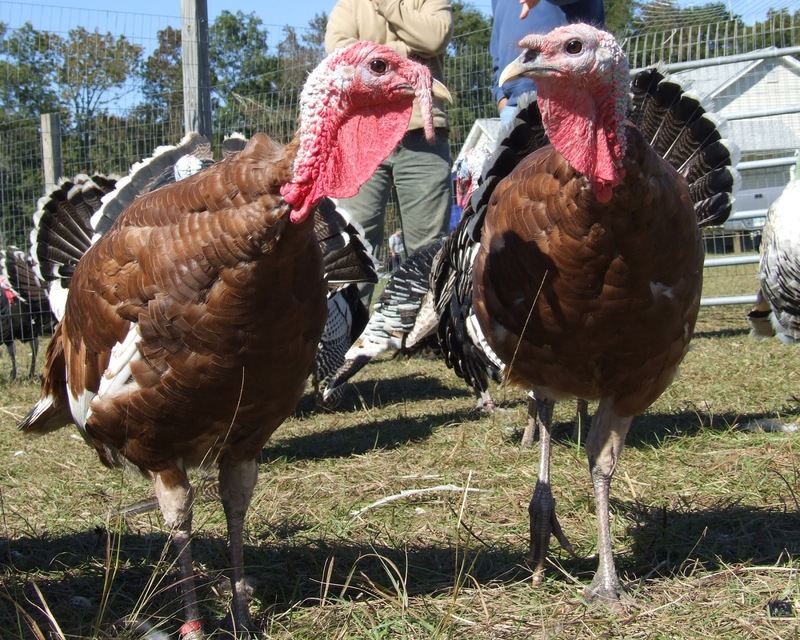 For more about raising turkeys, check out: "How to Raise Heritage Turkeys on Pasture"